What should you pay attention to when using a laboratory Low Temperature Cooling Liquid Circulating Pump? Our company’s laboratory low temperature Cooling Liquid Circulating Pump use mechanical refrigeration to provide constant current and constant pressure circulating cooling liquid to meet the needs of reducing the working temperature of laboratory instruments, such as glass reactors and rotary evaporators.Today we will talk about how the laboratory low temperature Cooling Liquid Circulating Pump works and what to pay attention to when working. The laboratory low-temperature cooling Liquid circulating pump should firstly fill the pump with water, then lead the pump impeller to rotate at high speed under the rotation of the high-speed motor, and the water in the impeller also rotates, and the liquid is under the action of the centrifugal force of the pump body. It is discharged from the outlet, and the vacuum is formed near the rotating shaft of the pump casing. When the laboratory low temperature cooling liquid circulating pump filled with water the impeller rotation to generate centrifugal force.why the center pressure of the impeller reduced?Since the water in the impeller channel flows into the pump casing under the action of centrifugal force, the pressure is generally lower than the pressure in the inlet pipe, and the water can continuously absorb water from the suction pool by the pressure difference. And it can provide Constantly water supply. Under the action of external pressure, the water in the inlet pipe is pressed into the pump to fill the vacuum, so as long as the impeller keeps rotating, the water will flow continuously from the tangential direction to the inlet pipe and then into the pump outlet for discharge. Henan low-temperature cooling liquid circulating pump is pumped by the built-in circulation pump to the experimental device for cooling, and then the cryogenic liquid is returned to the low-temperature tank for cooling, so that it is continuously circulated and cooled. When using Henan low-temperature cooling liquid circulating pump,the following aspects needed to pay attention to. 1.room temperature and humidity.the normal working room temperature is less than or equal 25℃.the humidity is less than or equal to 60%.beyond the range will affect the safety and usage performance. 2.Movement of the equipment.It’s strictly prohibit to move or incline the laboratory Low Temperature Cooling Liquid Circulating Pump to avoid of the medium emerging or cause damage to the fittings. 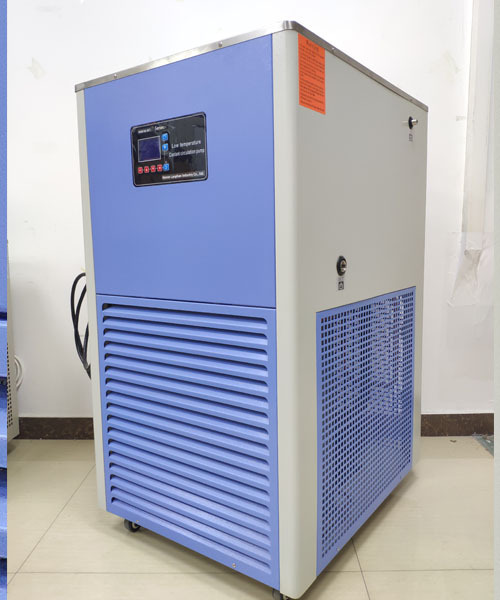 3.Ventilation and dust proof.The laboratory low temperature cooling liquid circulating pump should have sufficient space around the vent hole and be well dust proof. Keep the laboratory low temperature cooling liquid circulating pump away from the heating equipment and avoid direct sunlight. 4.power supply.The power supply voltage AC220V/50Hz should have a good grounding system and be equipped with a standard three-pole safety socket. The power supply voltage is AC380V/50Hz, the control voltage is 220V/50Hz, the power connector is three firing line, one neutral wire, and there is a phase sequence protector in the machine. 5.protective wire.Please plug and unplug the power supply with your hand.Don’t drag the fire. 6.medium.Clean water or other media must be used to strictly prevent foreign matter such as sediment from entering the cooling system or laboratory cryogenic coolant circulation pump. This entry was posted in Chiller Blog. Bookmark the permalink. 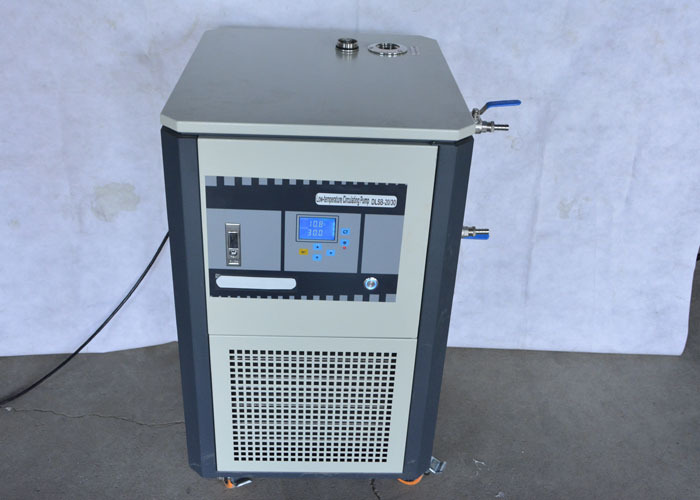 What’s the precautions of using the Rotary Evaporating Water Bath?